The Walking Dead Season 7 Episode 2 (S7E2) Spoilers: Air Date and TWD Promo for “The Well” Out! The Walking Dead Season 7 Episode 2 Spoilers, Promo, Air Date, TWD 7×2 Synopsis, Updates: After a long wait, TWD season 7 finally premiered on Sunday night on the AMC. You must have enjoyed the episode 1. But, what does the next chapter contain for the fans? Will it follow Rick Grimes or we get to see more new groups established in TheWalkingDead? The first chapter of the seventh installment just proved to be what fans expected from it. It was as brutal and engaging as earlier. AMC told who two died at the hands of Negan at the end of season 6 finale. It was a shock when the two loved characters, who are now dead, revealed. They are namely Abraham and Glenn. Some of the fans frightened to see the brutality AMC showed. Rest of the characters became hopeless as their spirit got broken. So, what is actually going to be in the upcoming episode, next week? It is titled “The Well” and according to speculations, it could relate to Glenn. Considering the previous chapter, the future one may stand true. Check: Quantico Season 2 Episode 3. The network didn’t reveal much considering the synopsis. One thing is sure that viewers will get to know a new community. In the last installment, the following communities were introduced namely – Negan’s group, the Saviors, and Hilltop (of which Jesus was a member). Along with those two groups, Morgan and Carol meet up with another group at the end of the last installment. However, the name wasn’t revealed. It is known by the name ‘Kingdom’ and a man named Ezekiel to lead it along with his tiger, Shiva. Yep!!! TWD director Greg Nicotero revealed it in a recent interview. “It’s the biggest community which we have ever come across. It’s thriving and vibrant. While directing and editing, I felt it like The Walking Dead version of The Wizard of Oz. It is precisely opposite to the outside dead, dull, black and white world. It is completely different from anything we have done so far,” Nicotero told us. The upcoming episode will introduce fans to the Kingdome. If it happens, we will get to see what’s going on to Morgan and Carol. The trailer for TWD S2E2 confirms it. The promo clip released shows Morgan wheeling Carol around the Kingdom. It’s apparent that Carol has been away for a while now. Morgan explains her something about the setup. It looks like he known many in the Kingdom. If this comes out to be the case, then it’s time to see a time jump. Morgan hasn’t told exactly every real thing to Ezekiel regarding himself and Carol. He told Carol the amount of story he has told King Ezekiel. The reality of this community will be known in the coming episodes. As of now, AMC hasn’t released any images for the ep 2. 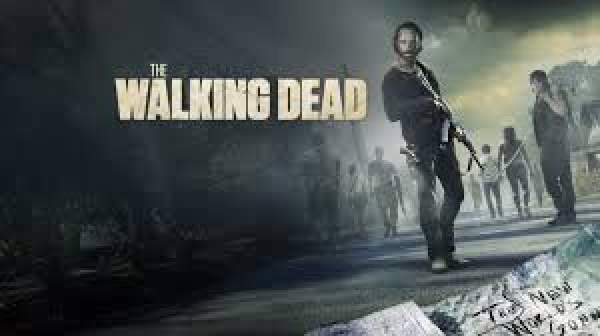 Did you like the first episode of AMC’s The Walking Dead? Feel free to share your views and thoughts with us. The Walking Dead season 7 episode 2 will air on AMC on Sunday, October 30 at 9 pm ET. Stay tuned for more. Same here! I wasn’t expecting Glenn to passed away with just like that, not even doing something heroic! Kind’a disappointing but I’d still love to watch the upcoming episodes.